This over 4200 sq. 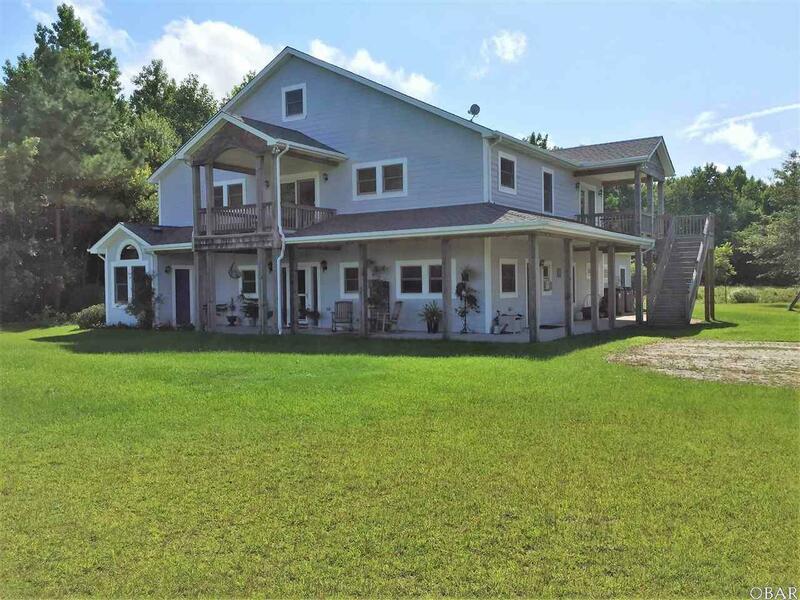 foot, 4 bedroom 4.5 bath home, sits on 6.28 acres, with a stocked pond with a fountain, an in ground, solar heated, concrete swimming pool, a hot tub, an in-law suite, multiple covered porches and decks, and a detached 1720 sq. foot heated and cooled garage and office. The home is ideal for multi-generational families, a home based business, a woodworker or an avid mechanic. 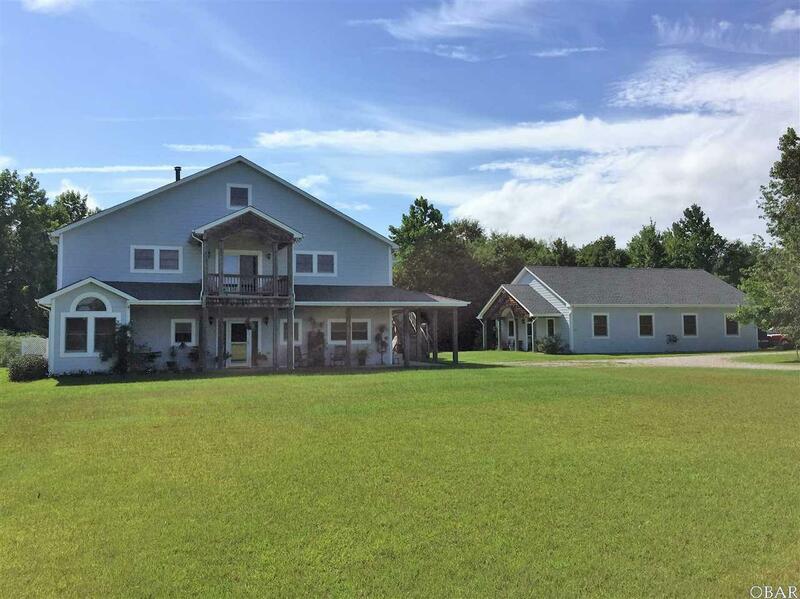 The location is convenient to both the Outer Banks and Chesapeake, located halfway in between the two, close to the Currituck County Office Complex, and only 8 minutes from the Currituck Family YMCA. 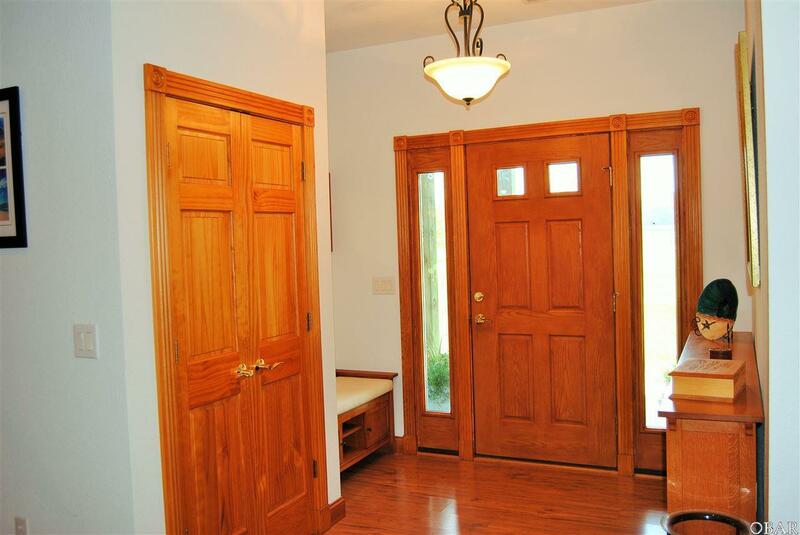 The main entry to this fantastic home, leads into a foyer and then a huge great room. This level has 9 foot ceilings throughout. There is a fabulous gourmet kitchen with cherry cabinets, plentiful counter space, a 3 bay Jenn-air drop in griddle/range cook top in a center island, a double wall oven with convection cooking, and a second sink that sits on a long bar seating area overlooking the kitchen. There is a utility room complete with a sewing area, laundry room, second refrigerator, pantry, sink, additional storage, and a wonderful plant room overlooking the garden area. A focal point of the great room is a Tulikivi Soapstone wood burning fireplace/stove with a bake oven, perfect for baking fresh bread or stone oven pizza. The soapstone in the fireplace keeps the home warm and cozy and can heat the main living area. This floor also includes an office/den, a half bath and two master suites. The main master suite overlooks the pond and has direct access to the hot tub area, 2 walk-in closets, and a large master bath with a Jacuzzi tub, a huge double ceramic tile shower, 2 sinks and heated tile floors for those chilly winter mornings. There is also a room off the master suitable for a studio, nursery, sitting room or office. The second master bedroom on this level has a wet bar with a beverage cooler and is handicap friendly with a bath equipped with a roll in shower. 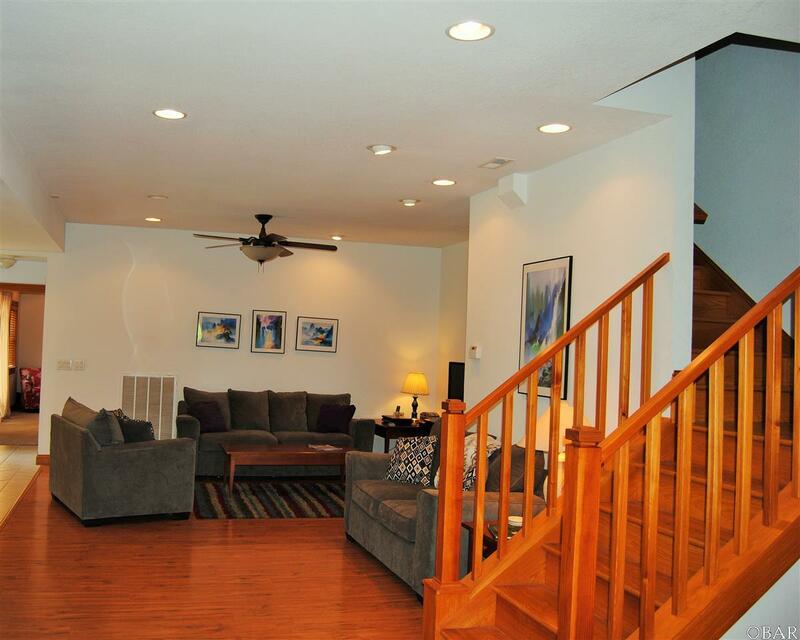 The second floor of this home is accessible from inside or from a separate outside entrance. There are two enormous additional bedrooms, 2 bathrooms, a kitchenette, a second laundry room, a balcony, a covered porch and 2 gathering areas that are suitable to be used as a family room, a game room, a media center or even a home theater. There is also a large attic space with ample storage, on this floor and a stairway leading to a third floor, 48X17 attic that can be used for storage or could be converted to finished space. Step outside this home into your own private oasis. There is a large patio with a grill area, picnic area, a hot tub and a 16X36 solar heated concrete salt water pool with a slide. All of this overlooks a peaceful pond with a fountain that is surrounded by woods. The pond is perfect for fishing, kayaking, canoeing, paddle boarding or swimming, and is also wonderful for a morning or evening stroll around. For the gardener there is a garden area complete with an adorable garden shed. The heated and cooled, detached garage is fully equipped for business or whatever use is desired, with 10 ceilings and two oversized garage bay doors with 9 8 by 88 of clearance, a workshop, an office area with cubicles, cork floors, break area, a half bath. There is also a 12 by 48 attic storage room accessible by stairs. The garage and the home have a structured cable wiring system throughout, as well 2X6 walls, and solar hot water heating, with electric backup. This home has limitless possibilities and instant equity, priced substantially below a May 2015 appraisal! Listing courtesy of Denice Tappero of Coldwell Banker Seaside Realty.